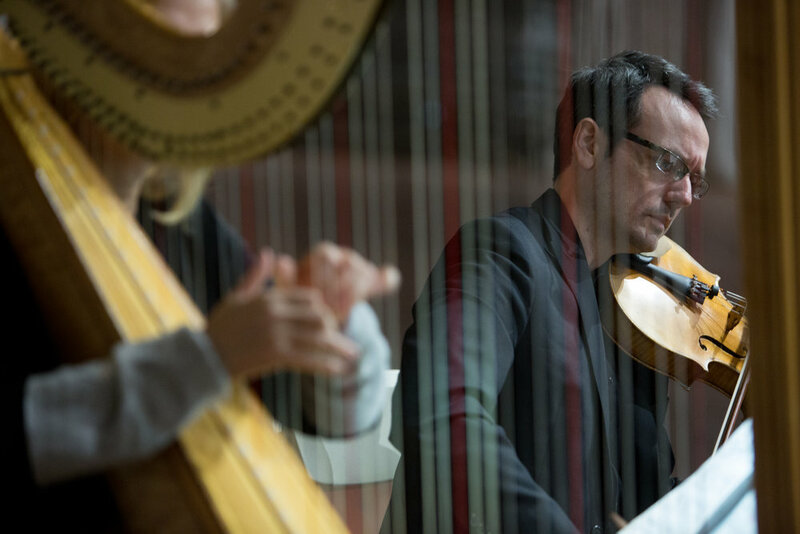 A passionate chamber musician and teacher, violist Travis Maril has been described as playing with “persuasive, stylish ardor” (San Diego Reader). Travis is Studio Artist Teacher of Viola at San Diego State University, where he coordinates the String Division and serves as Co-Director of the SDSU String Academy for pre-college students. In the summers he has taught in Italy at the Interharmony Music Festival and locally for the San Diego Summer Music Institute at SDSU. Mr. Maril's students have held principal positions in the San Diego Youth Symphony and have attended Itzhak Perlman's Music Program, Music Academy of the West, Aspen Music Festival and the Bowdoin International Music Festival. They have gone on to study or gained admission to prestigious institutions including The Juilliard School, Northwestern University, the New England Conservatory, Indiana University and the Cincinnati Conservatory. A Trustee Scholar and Outstanding Graduate from the University of Southern California, Mr. Maril received full scholarships both to USC and Rice University's Shepherd School of Music, where he received his Master's degree. He later won a top prize at the Fischoff National Chamber Music Competition and had performances broadcast on "Performance Today" with the Hyperion Quartet. He has performed with the Miró Quartet, concertmasters of the Cleveland Orchestra, LA Philharmonic and Rochester Philharmonic, principal players in the Pittsburgh, Cincinnati and San Diego Symphonies, and members of the Chamber Music Society of Lincoln Center. Festival appearances include Ojai, Bravo! Vail Valley Music Festival, and repeat appearances with the Mainly Mozart Festival and La Jolla Music Society's SummerFest. Learn more about studying with Travis as a college student at SDSU, or as pre-college student through the SDSU String Academy.